Raspberry Pi is a credit card sized mini computer designed for developers and experienced makers. It also make a nice little Kodi-based media player. 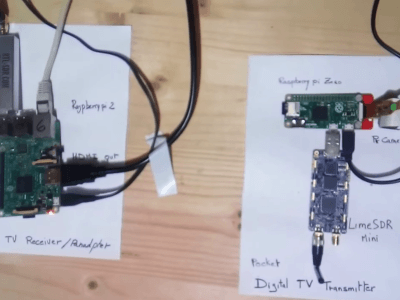 One LimeSDR Mini from Lime Micro and one Raspberry Pi Zero have been used to create an open-source pocket-sized DVB (digital video broadcasting) transmitter, which is believed to be is the world’s smallest. Developed by Evariste Okcestbon, the open-source prototype streams live images from a Raspberry Pi camera (PiCam) and implements avc2ts, dvb2iq and limetx software to encode and transmit H.264 video on the 1.2-GHz (23 cm) amateur TV band. The boards are connected via USB, with the Raspberry Pi Zero board measuring 65 x 30 mm and the LimeSDR Mini measuring 69 x 31 mm. 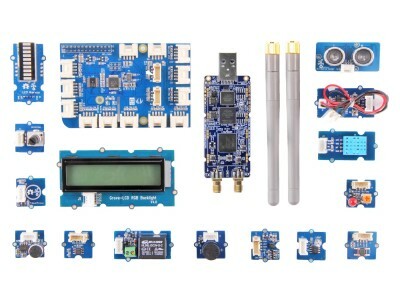 A new kit jointly created by Lime Microsystems and seeed studio is claimed to provide everything you need to get started learning SDR basics and developing IoT applications. The Grove Starter Kit for LimeSDR Mini is targeted at educational use and for beginners, and carries a price tag of $249. Besides the LimeSDR building block optimised for 433/868/915 MHz and the associate antennas, the kit also contains an array of Grove sensors and output-related boards from seeed studios. The computing power for the software defined radio (SDR) is afforded by a GrovePi+ and a Raspberry Pi (2, 3 or Zero can be used). Now hot off the press is Elektor’s first edition of 2017! It’s available for purchase either as a pdf document or a printed magazine with free shipping for a limited time only. 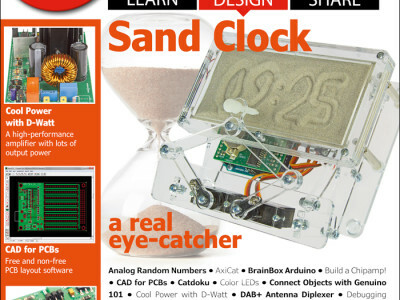 This edition includes an IoT Shield for Arduino, a Sand Clock, a DAB+ Antenna Diplexer, a D-Watt Amplifier, Color LEDs and lots more! Now available is Elektor’s September & October 2016 edition! Available for purchase either as a printed magazine or as a front-to-back pdf document and with free shipping for the printed magazine, you can receive it direct to your door for no cost at all. Edition 5/2016 maintains the LEARN, SHARE and DESIGN pillars, so you can easily utilise the layout to access exactly what you want to, when you want to. 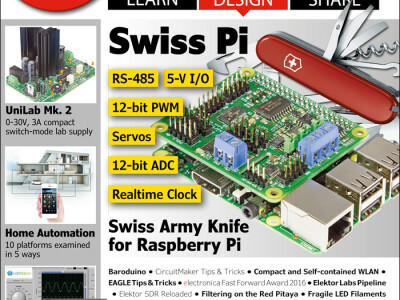 The edition is as always jam packed with Labs Projects, reviews, articles, Retronics and much more to keep you entertained for hours on end.